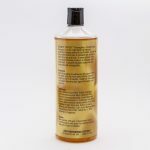 Eliminates chemical residue (heavy metal ions of sodium, iron, copper, etc.). Hair is also returned to its normal pH level. 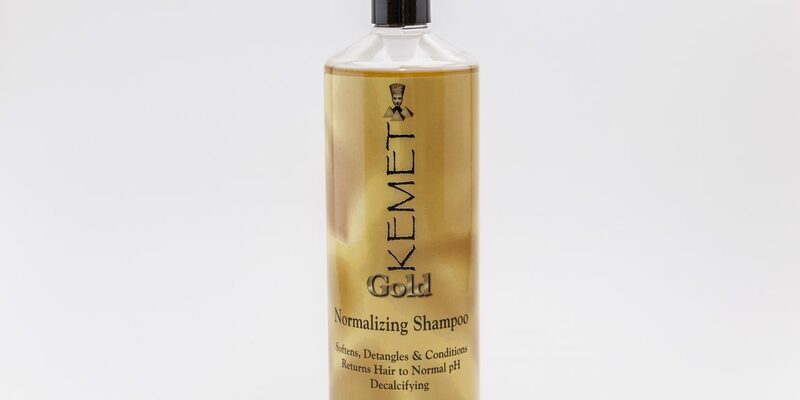 Gold normalizing Shampoo detangles hair effectively during shampooing while hydrating and moisturizing hair with the aid of the best conditioning polymer for relaxed hair int he cosmetic industry. 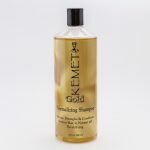 The color indicator signals that the hair is cleansed of all traces of chemical residue. Lather turns from pink to white. 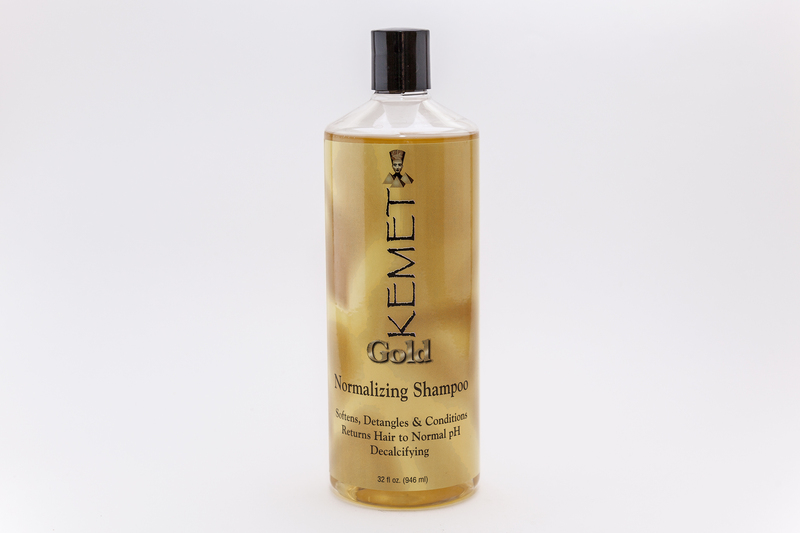 Imparts body, bounce, natural sheen and manageability. 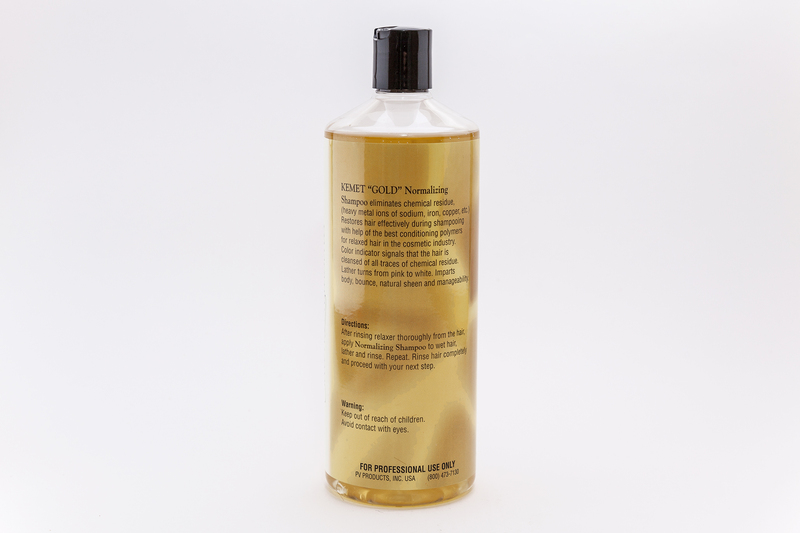 This shampoo thoroughly cleanses the hair by removing all medicine and chlorine and is a rich high lathering shampoo containing a unique blend of conditioners, moisturizers and proteins that help to revitalize hair, leading to added stricture and body.